Few networks have been able to pull off what The CW has in such a short period of time. Between programs like Supernatural, iZombie, and every entry in the Arrowverse, the network has continuously pumped out hit after hit with no sign of flagging any time soon. The CW has just announced a massive sweep of renewals for its best TV shows, and it's no surprise that some of our favorite series made the cut. 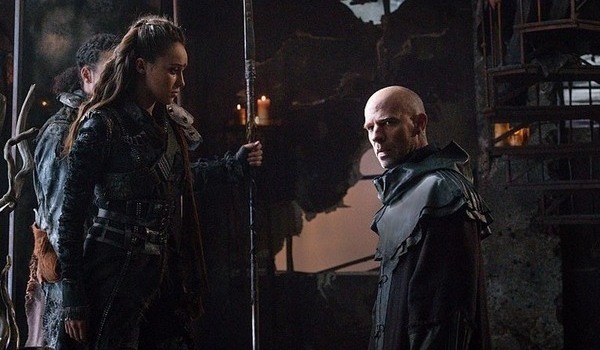 We’re happy to announce that those renewals included the hit sci-fi series The 100. We’ve just learned that, among The CW’s numerous renewals,The 100 will return for a fourth season. Although the series did not start off its existence on the most solid footing, it has grown into an immense critical darling over the last couple of seasons. Clearly the network seems to have caught on the show’s growing popularity and has seen fit to keep it around on the highly coveted Thursday night lineup following DC’s Legends of Tomorrow. One thing that sets The 100 apart from other programs currently on The CW’s lineup is how inherently different it is in terms of concept. It centers on a group of teenagers who grew up in space and ultimately return to Earth years after a war devastated the planet’s surface. Upon their return to Earth, they realize that humanity actually survived the catastrophic war that took place almost a full century earlier, and the series follows the conflict that arises between warring factions. For a network series, the show gets away with quite a bit in terms of grisly content. The 100 is full of morally complex storylines, replete with numerous post-apocalyptic tropes such as murder and cannibalism. It’s this overt willingness to raise genuine questions about human nature that has made the show so compelling over the last three seasons. Although post-apocalyptic television has most certainly begun to saturate the airwaves, The 100 has seemingly set itself apart from the competition with its high concept sci-fi premise, and insanely high production values. The show has become a fan favorite among The CW audience, even without the presence of DC superheroes, and we can’t wait to see where the network will take the show’s story from here. As always, we here at Cinema Blend will bring you all of the latest and greatest television news as it becomes available to us. There have been a ton of great announcements from The CW today, so be sure to stay tuned for more detailsl you can check out The 100 every Thursday night on The CW.